It all started when I rushed through a local box store to pick up cat litter. Seriously. I decided to by-pass the crowd inching their way down the center (why do they always do that when you’re in a hurry? ), and cut through an aisle instead. And that’s when I laid eyes on it: an ice cream maker, a stainless steel wonder with an ice-cold promise of relief from the stifling heat outside. I bought the sucker and proudly brought it home. Then there was the search for the perfect Paleo ice cream. 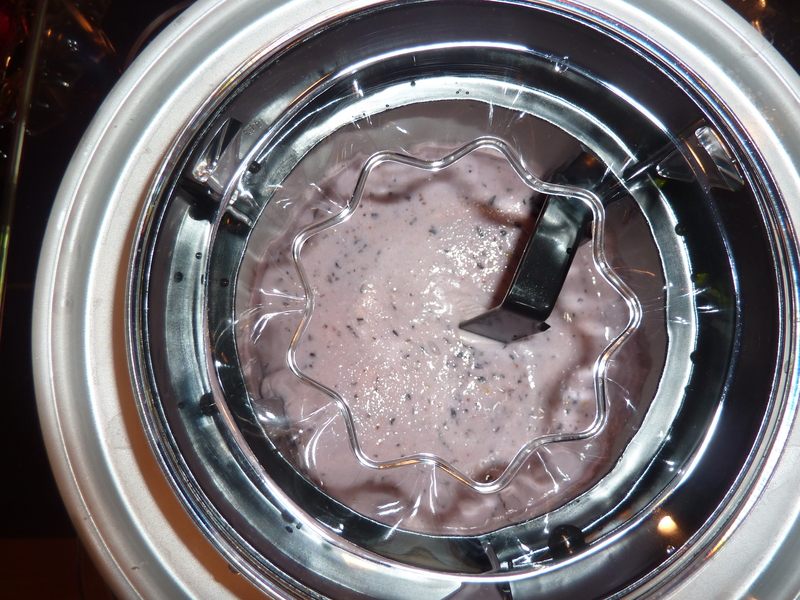 It didn’t take long since a fellow blogger posted a blueberry ice cream recipe not that long ago. 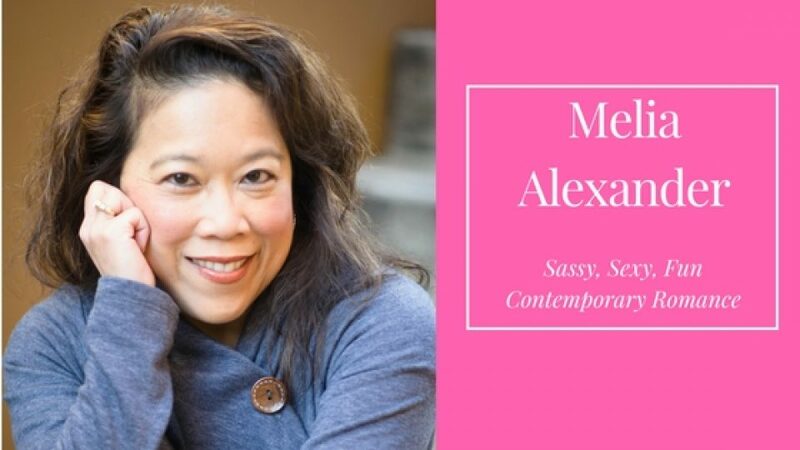 (Thank you Cavewoman Cafe!) The maiden voyage into ice cream making was on! 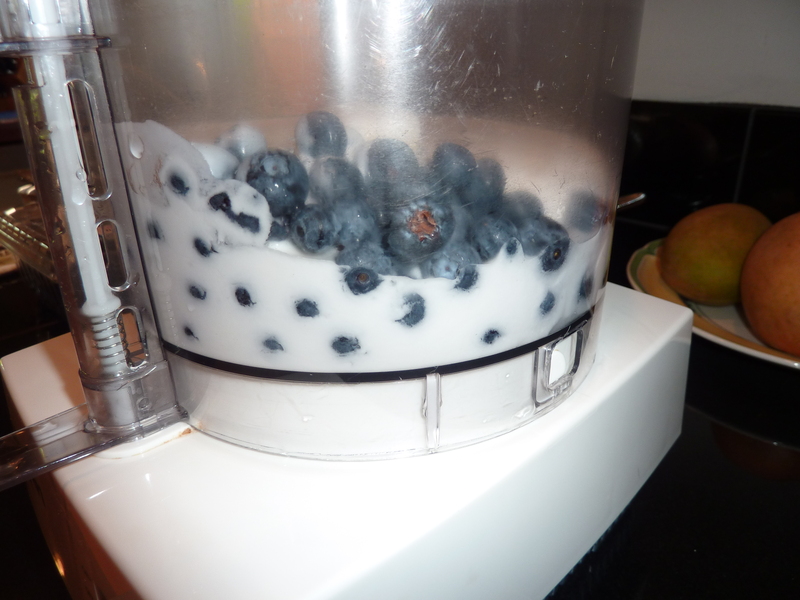 Mixing up coconut milk and blueberries. 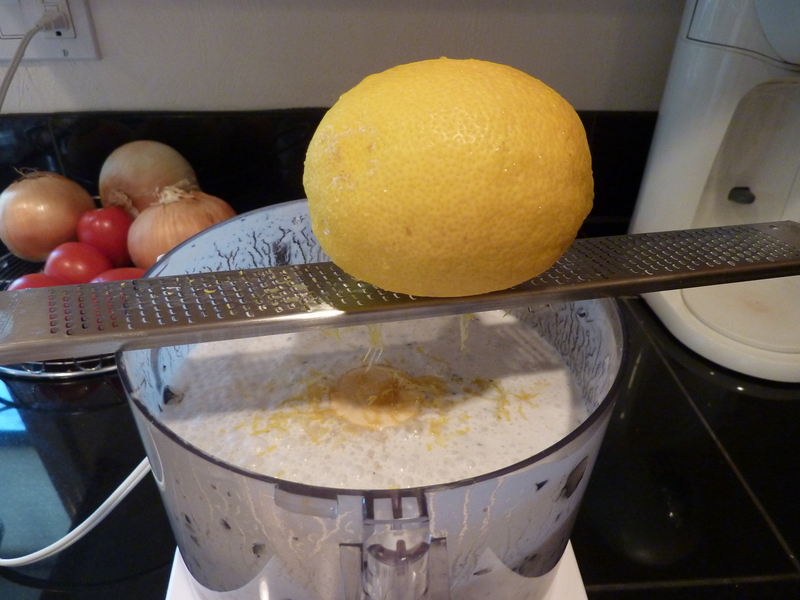 Adding lemon peel, then later, the juice from this lemon. Don’t skip this step — it adds a fabulous flavor to the ice cream! Patiently waiting for the ice cream maker to do its magic. Voila! 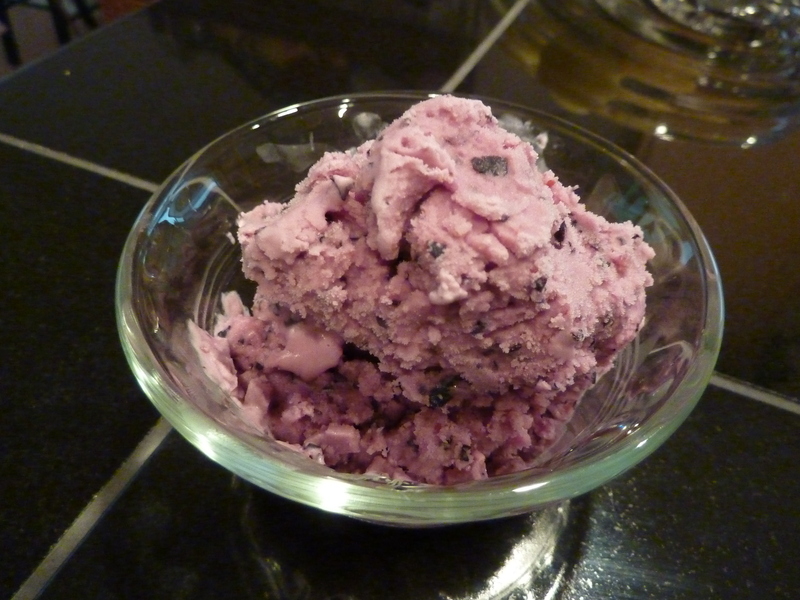 Paleo Blueberry Ice Cream. Soooo yummy! I must admit, it was way more complicated than opening a tub of ice cream, but it was really, really, REALLY good! And I didn’t crash from it, either – BONUS! What’s your favorite ice cream? Have you tried making it instead? What’d you think? Good? Bad? Worth the trouble? It’s been a while since I made ice cream. When the kids were small and we had a milk cow, we made it often. Now since my hubby isn’t an ice cream eater and I don’t need it, I buy my ice cream at DQ. 😉 What you made looks yummy! enjoy the ice cream maker! that’s weird… got a mssg saying my comment couldn’t be posted. trying again. Believe me, we’re enjoying the ice cream maker immensely! 🙂 Your ice cream looks delish. Is it possible to gain weight just by looking at the picture?